Cambell is the Chief Customer Officer leading Mercer’s Financial Advice business, consumer call centres, Digital, Customer Platforms, Insights & Analytics, Consumer Marketing and retail distribution partnership teams in the Pacific Market. He is responsible for the customer servicing and experience for approximately 2.2 million consumers across the Pacific. 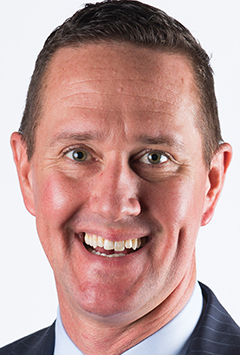 Prior to joining Mercer in 2014, Cambell’s global career has spanned 20 years across a wide range of financial services in Australia, Asia and Europe.